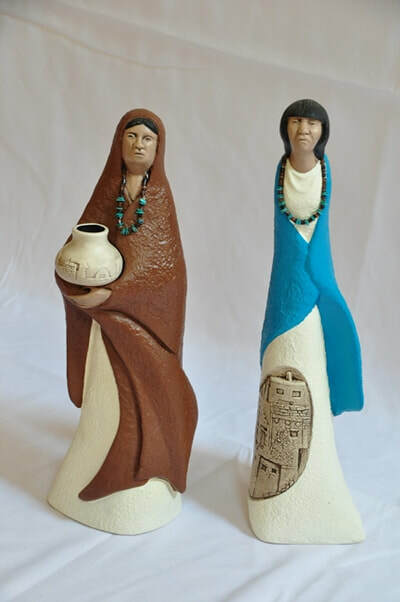 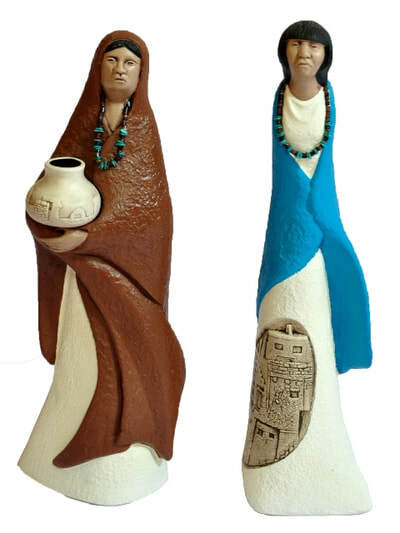 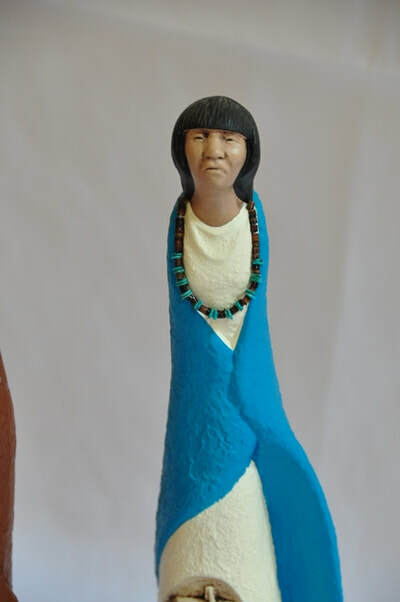 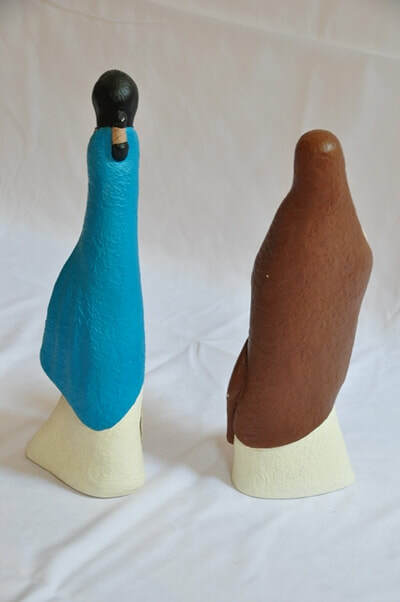 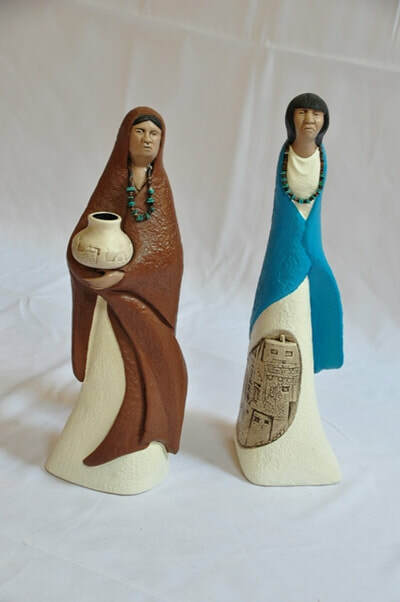 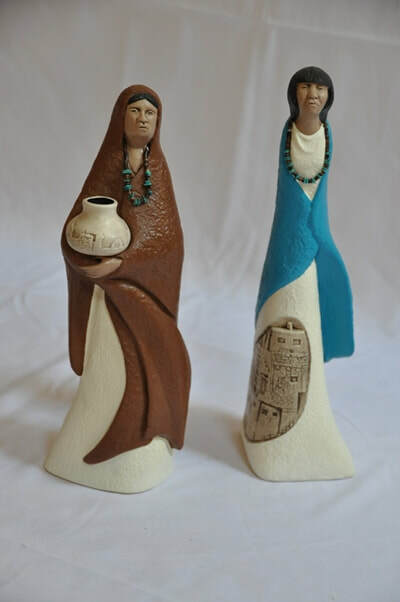 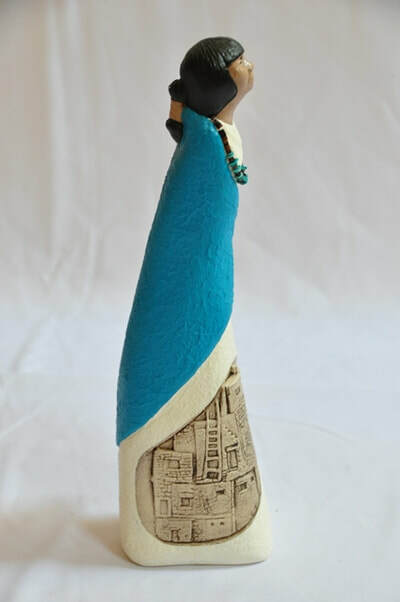 This is a pair of ceramic figurines of a Zuni Native American man and a woman. 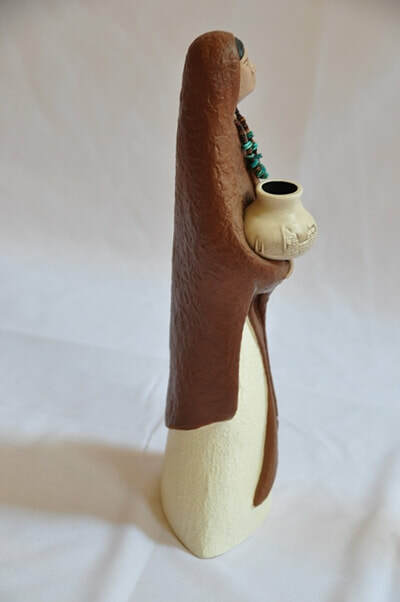 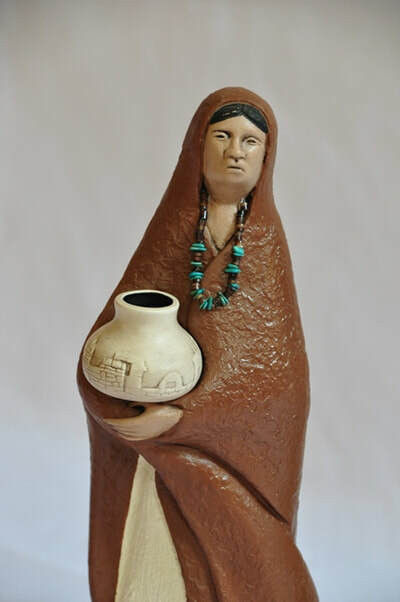 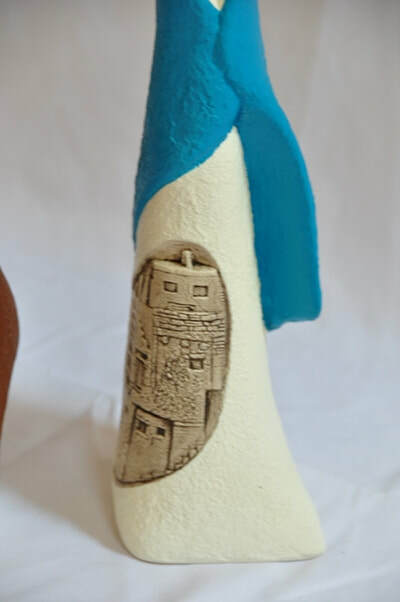 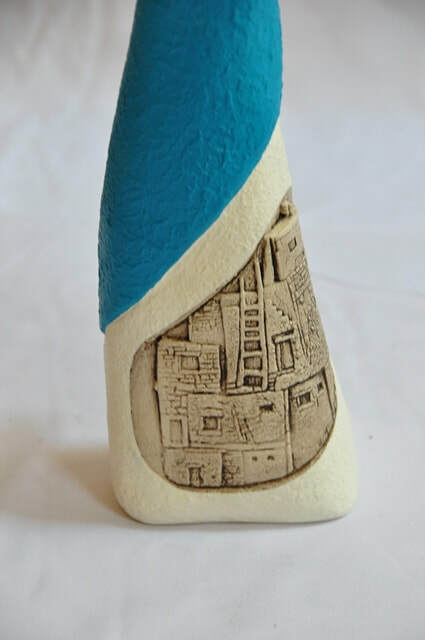 The woman is holding a pot and is 11-1/2" tall. 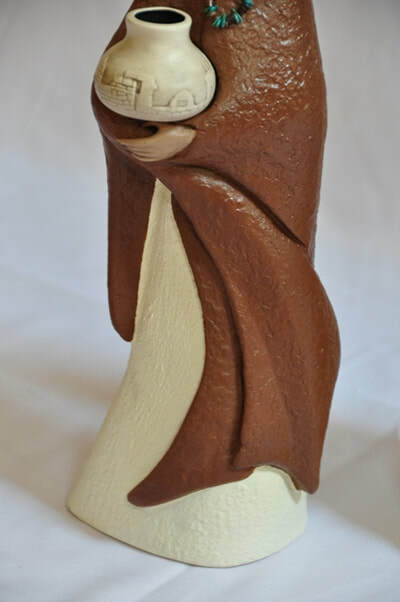 The man is 12-1/2" tall. 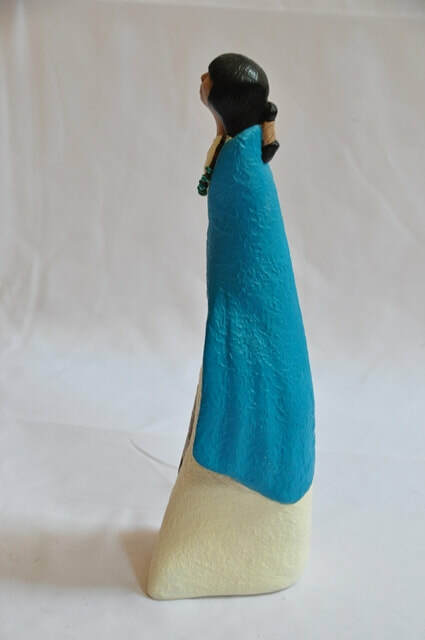 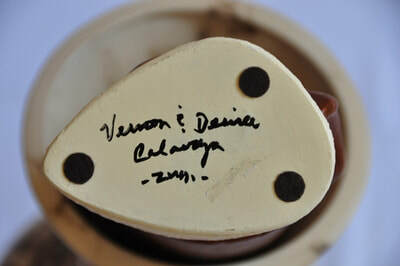 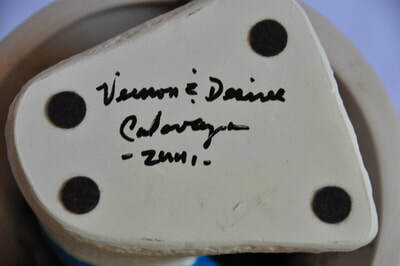 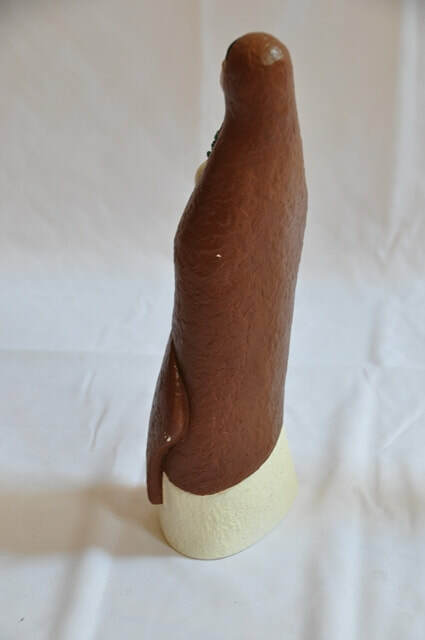 They are signed by the artists at their bottoms as Vernon & Desiree Calavaza.